On October 6, ICanServe Foundation and Marie France collaborate to debut the holiday collections of six of the country’s most loved designers in #FashionCanServe. 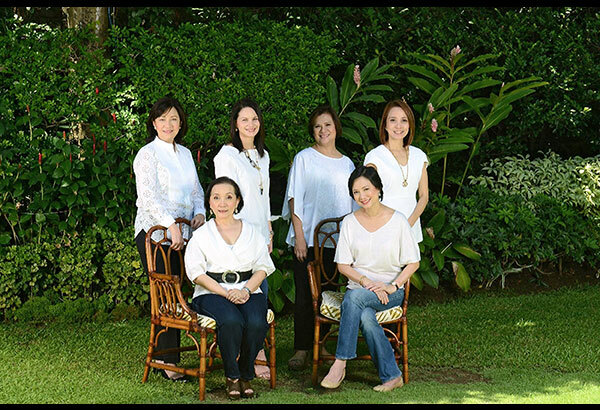 Signing on to the project to help continue ICanServe’s projects that benefit women at risk of or diagnosed with breast cancer are: Lulu Tan Gan, Kristel Yulo, Maureen Disini-Teichert, Eric delos Santos, Rhett Eala and Rajo Laurel. Breast cancer survivors and celebrity advocates of ICanServe will model the collections at the Raffles Hotel Ballroom in Makati City. Aside from partner Marie France and host Raffles Makati, also supporting #FashionCanServe are SM Woman and Sabina as presenters; Security Bank, Del Monte Philippines, Globe Platinum and Rado as major sponsors; SSI Group, Ortigas & Co., Wilcon Depot, and Mercedes Benz as minor sponsors; El Nido Resorts, Homme & Femme, Fortune Travel Inc.; Ralph’s Wine & Spirits, Remy Martin, Cointreau and RVA International for Heinekin as bar sponsors; Aveda, Make Up Forever and PMUAA for make up and hair styling; and Miladay Jewels and Aranaz for jewelry and accessories. 2nd Avenue signed on as exclusive TV presenter. Summit Media is Print Media partner, together with The Philippine STAR, Philippine Daily Inquirer, Golden Touch and Inewvation. ICanServe remains open to sponsorship proposals.For inquiries, call the ICanServe hotline +632 636 5578 or Myrna at +63918 667 2458. Donate online at www.icanservefoundation.org.